I came to serve but I wasn’t prepared for an earthquake that registered 7.0 on the Richter scale. How can this be happening to a country like Haiti, already struggling with mountains of debt and a history of political and social catastrophes? On January 9, 2010 my son and I left for southern Haiti, an outreach of Souderton Mennonite Church in Souderton, Pa. My son, Jordan, needed to fulfill his senior high school experience at Christopher Dock Mennonite High School by being involved in a week of service or job shadowing. Jordan chose to work in Haiti with the Water for Life program located in Passe bois d’orme and the Tree of Life in La Baleine, Haiti. I came along with 26 other persons from my church to try and bring hope and encouragement to the people of these two villages. But we were not prepared for an earthquake that rattled our plans and introduced us to what it can be like to feel stuck in a foreign country on Tuesday, January 13th. We were at the beach in Passe bois d’orme when the first quake struck. We happened to be rattling around in an extended jeep wagon with luggage and 15 persons aboard at the time. The driver said that he heard a metal crack, thinking it was the axle that snapped but instead his wheel lug nuts had snapped off from the movement of the ground beneath us. Then a few minutes later as we reached our destination, the ground shook again and a woman and child came running out to escape walls moving and dishes falling. It was terrifying and everything revolted, waving branches, toppling towers, and people scattering in aimless directions. We gathered quickly in circles of prayer, praying for safety and protection from the elements. We soon heard that a tsunami warning was issued for Port-au-Prince (about 50 miles away) and we hustled to escape to higher ground and the secluded mountains away from the coastline. We couldn’t hurry enough on the rock grooved roads that permitted only one lane traffic. We fearfully watched the water for a response and tried to drive faster. 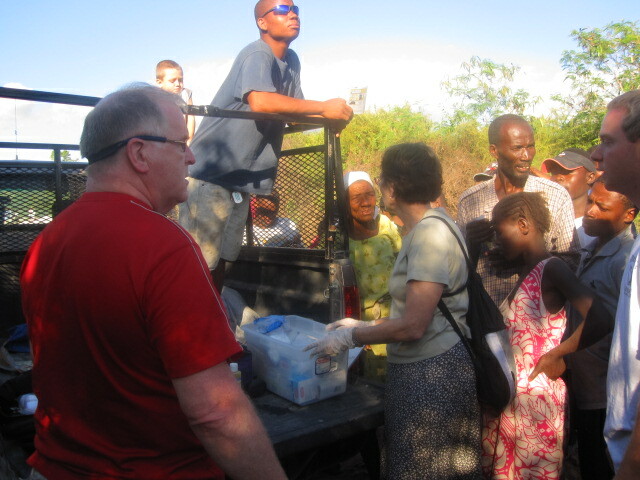 We needed to make a quick stop at the local mission house for extra clothes and stopped several times for picking up falling luggage, readjustment of the standing passengers on the back of the trucks, and an overheated engine that transferred more persons on the already overloaded 3 vehicles. We finally got to the hills of La Baliene and decided it was safest to sleep outside on mattresses than risk the walls tumbling from the responding aftershocks. We slept under the open sky with our frightened Haitian neighbors that had gathered at our mission guesthouse. Between babies crying and goats bleating, we didn’t sleep much, but we were glad to be safe and to still have food and shelter. The next day, when the dust cleared we heard about the airport being closed, the presidential palace being flattened, and the roads twisted and broken, landslides that shut down all traffic, and suddenly realized we might not be able to leave Haiti on our scheduled flight after a week. We also heard of many casualties and ruined homes. The quakes had taken away homes that may have been poorly constructed and small, but they were homes that represented a growing self-confidence and emerging agricultural independence. How could this happen to a country desperate to regain the hardworking coffee production and tourism of the past? I can testify to the fact that Haiti is filled with lush valleys and palm-lined coasts that could tempt any traveler. So with so much potential for good, an earthquake is the last thing the Haitian people needed. We came wanting to serve, but may leave not having achieved much at all. 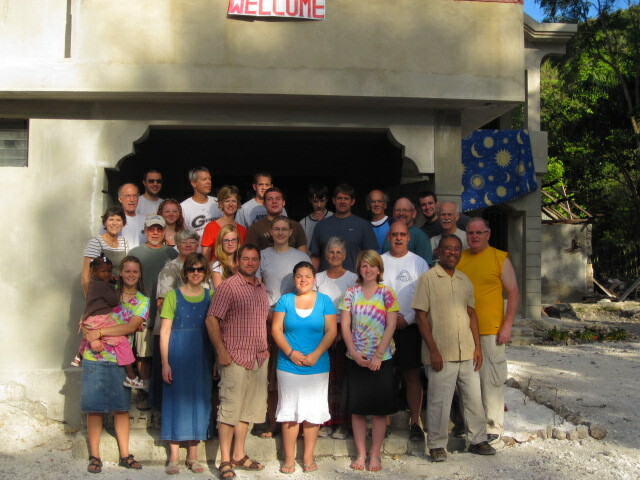 But we certainly were exposed to the hidden potential, unique possibilities, and warm hospitality of Haiti. Did you ever try “birding”? Recently, on a beautiful spring Saturday, I packed a lunch and headed to Lancaster County to go birding. 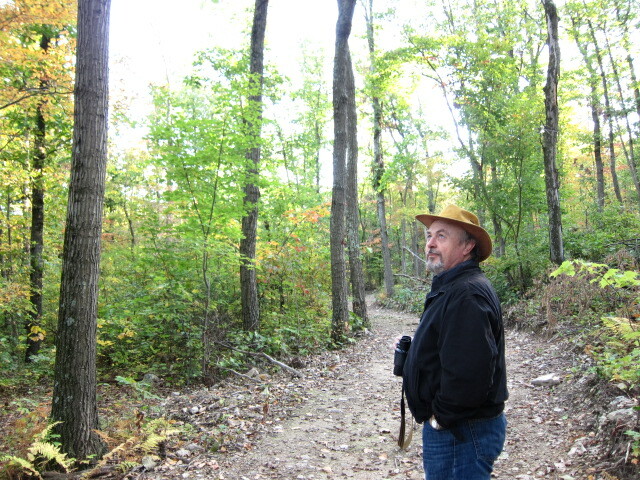 My older brother Philip asked me to meander around the Susquehanna River in search of some birds on his “to see” list. We hiked through nearby woods, but we also just sat, with nowhere to go and nowhere to be, waiting patiently for the next avian sighting. Do you realize how spectacular a Baltimore oriole (often called the Eastern oriole) looks when the sun hits it? Its cousin, the Orchard oriole has a “show me” spirit as well. But the high point of the day was watching a bald eagle feeding its young in a huge nest of branches high above us in an electricity tower. It is exciting to see the return of the bald eagle to our region and we were even privileged enough to look through a fellow birdwatcher’s scope and see the yellow of the eagle’s eyes as it majestically surveyed all of us, turning its distinctive beak from side to side. The bald eagle has an elegance and sophistication all its own. But even more importantly, it meant a lot for me to be able to spend a day alone with my brother. You see, I am the youngest of five and came along six years after my mother discarded all her baby clothes. Philip is 12 years older than me and unfortunately I was only six when he left our home for 1-W service in Colorado. I’ve known Philip all my life, but don’t remember ever being alone with him for any length of time. So, it was kind of like getting to know an old friend in a more meaningful way. It was worth the awkwardness that I think we both felt at first when we later realized how much we’d learned about each other. That day of birding was a day of reconnecting with my brother and with the quiet and beauty all around us. It was a special treat to find familiarity and common ground in the admiration of God’s gifts in nature. I’m sitting here in first period Language Arts class at Indian Crest Junior High School. All around me there are ninth grade students talking, trying to practice reading a Dr. Seuss book for their upcoming elementary school visit. They seem glad to not have to concentrate on vocabulary or Conrad Richter’s Light in the Forest. All day long I’m around boisterous kids. When I arrive home, my own children clamor for my attention during the evening news, competing with each other for assistance on their homework. Sometimes I long for quiet. But yesterday, I had my mother over to our house for supper. She didn’t seem to notice two of my children firing questions, hopping on her lap, and pleading with her to choose which name, Heather or Trish, should belong to an unnamed doll. Her patience never wavered. She even seemed to enjoy it. Mom later thanked me repeatedly for having her over for dinner. She said it felt “good to eat with a family.” Since my dad died in July, my mom has missed eating with someone. But then, my dad’s loud, commanding, and entertaining voice would be easy to miss. In the past few months, she has continued to tell us, “Merrill never gave me the silent treatment!” I can clearly see that my dad’s absence has left a quiet, gaping hole in my mother’s life. I heard on Oprah recently that if you want to improve your marriage, a good way is to tell your partner three things you appreciate about him or her every day. This counselor said that he and his wife give each other three compliments, big or small, each night before they go to sleep. It could be as little as “I appreciated the way you cleared up the dishes tonight” or “I liked the color blue that you wore today.” This made me wonder how many other relationships could be improved if we focused more on the positive rather than the negative. Who knows, maybe even my relationship with my two teenage boys could improve with compliments. I know that traditionally Mennonites have been more reticent and perhaps felt like complimenting others encouraged false pride, but I’m not sure that is biblically-based. In fact, it almost seems like Philippians 4:8 encourages such a positive, affirmative outlook on ourselves and others, when it says ” Whatever is true, whatever is noble, whatever is right, whatever is pure, whatever is lovely, whatever is admirable—if anything is excellent or praiseworthy—think about such things.” It’s just so much easier to think about negative characteristics of ourselves and others, isn’t it? I don’t know about you, but sometimes I feel like I am fighting a daily battle of gratitude versus resentment. 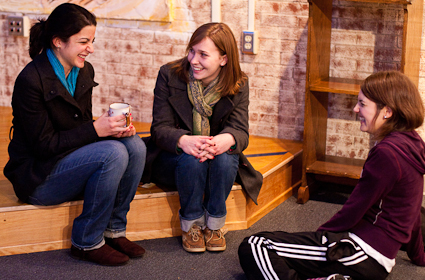 Henri Nouwen suggests, “Healing happens often by leading people to gratitude, for the world is full of resentment.” I believe that God encourages us by His love to continue to see the beauty and goodness in others…and perhaps three compliments a day is a good way to start! 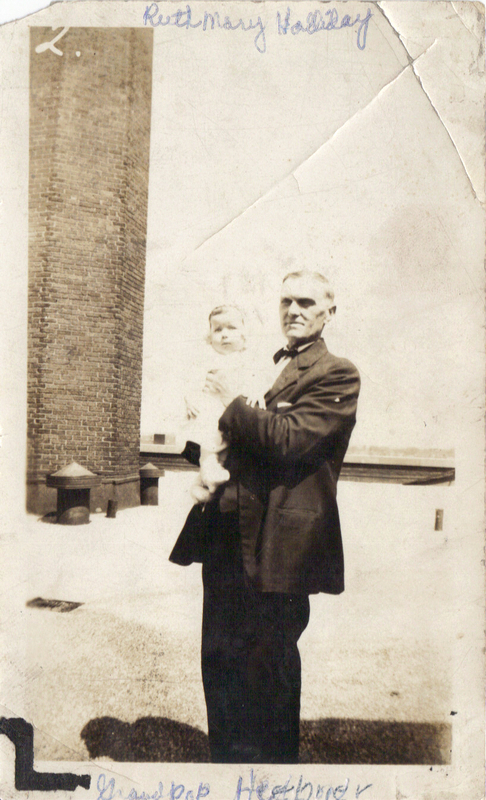 My great-grandfatther, Daniel Heebner, with one of his grandchildren. Shortly before noon on Sunday, May 15, there occurred a sad accident near the George Hartzel home when Daniel G. Heebner and family of four boys and one girl, Mary (the youngest child), and Allen, a son of Cyrus Clemmer of Hatfield, were on their way to visit Mrs. (Sallie) Heebner’s parents, Mr. and Mrs. Jacob S. Landes, a mile from the scene. They started to cross the low plank bridge, which at the time was surrounded and covered with water to the depth of eighteen inches, due to a heavy rainfall on Sunday and the previous night. The height of the bridge was about four feet, and was often under water. It had a railing on both sides, but the swollen stream had taken the right side railing with the tide. The horse, a newly purchased animal, was leaning to the right near the edge of the bridge, and because of the waves on the left side, became frightened and unmanageable. He stepped down over the edge, dragging the wagon with him so that the one front wheel went down, too, plunging Mr. and Mrs. Heebner and the little girl headlong into the current. Mr. Heebner caught hold of one wheel to save himself, grabbing around in the water for his wife and little girl, to no avail. This was the last time the two persons were seen alive. They were taken under the bridge with the stream. After the accident, Mr. Heebner, a nearly frantic man, could not be persuaded to leave the site. In the evening, at seven, when the rain receded, the search began for the bodies. Mary was found, at nine PM. The search was kept up to a late hour, but the body of Mrs. Heebner was not found until Monday at one o’clock PM. The search had started early in the morning with boats and ropes spun across the stream. Three hundred men were gathered. Mrs. (Sara, referred to as Sallie Landes) Heebner’s age was 31 years, 6 months, 2 days. Mary’s age was 2 years, 10 months, 27 days. Burial was on Ascension Day, May 19, 1898 at the Plain Church (Plains Mennonite Church). Two thousand people witnessed and viewed the bodies. The text of the funeral was Lamentations 1:12. 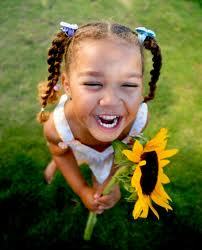 There is a “time to weep and a time to laugh” (Ecclesiastes 3:4) Let’s choose to laugh more and worry less in 2007! If you’re like me it’s easy to feel “down in the dumps” during the gray, short days of winter. Vanessa, my 11-year old daughter, tells me (she heard it from a reliable source) I need to laugh every morning right after I get up. Even if there is nothing funny, “you just make yourself laugh.” According to her, the whole day will go better if I laugh first. Well, I will attest to the fact that if my husband and I find something humorous in the early morning hours, the rest of the day does go immensely better. But if we start ranting about money issues or why the dog has to track in mud, the day doesn’t go so well. 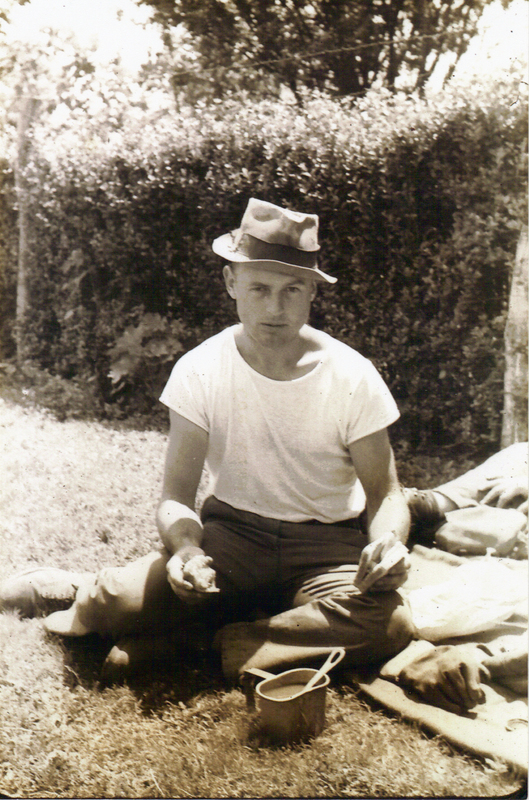 My dad often talked about his days in Civilian Public Service (CPS) during WWII. His fondest memories were of the people he met and lived with in Grottoes,Virginia. He used to quote persons that he got to know, including one man that politely asked, “Would you be so kind and condescending, so obliging and back bending as to extinguish your nocturnal illuminator?” when it obviously was time to sleep and turn out the lights. There was also the young man who asked my dad to wake him up in the middle of the night so he could enjoy going back to sleep again. That man really understood the luxury of sleep. My family got to know and love these persons that touched my dad’s life through his masterful storytelling. “encouraging an older adult to reminisce is one of the easiest and most effective techniques you can use to boost their confidence and brighten their mood. The vivid connection to a time when your mother or father felt more alive, happier, successful, and useful reassures them that they weren’t always in their current physical and mental state. 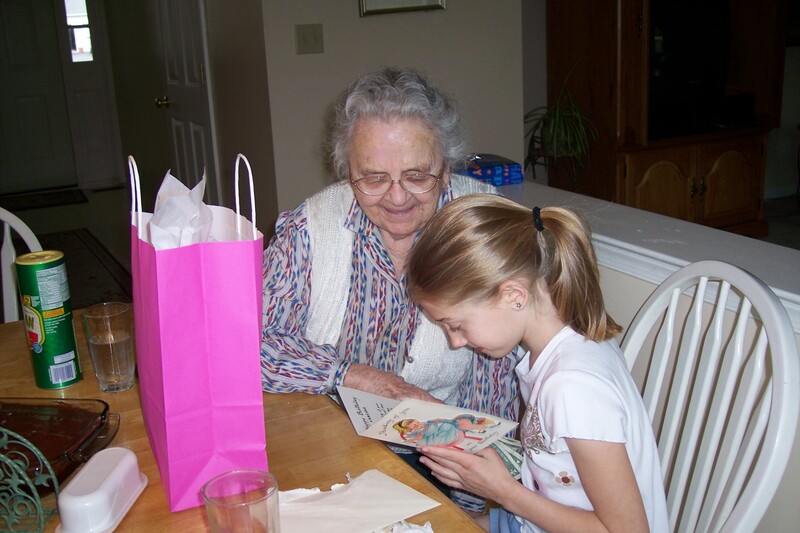 Reminiscing helps elderly parents and relatives review past accomplishments and activities, thereby giving them a renewed sense of fulfillment about their life. Research shows that sparking these memories causes blood pressure and heart rates to drop, essentially producing a calming effect. Although most people tend to focus on good memories, life cycle review can also help older family members become comfortable with the past. That is, the technique gives elderly parents an opportunity to admit and accept the parts of their lives that didn’t go as well as expected. During the last years of my dad’s life, I would take my mom grocery shopping and then come back to their house and sit with my dad, encouraging him to talk about Grammy and Grandpop Benner, his uncle Warren who lived an adventurous life as a tramp, the huge buck that got away, and the men that kept him laughing in CPS. Sometimes he felt too groggy from his battle with congestive heart failure to reminisce, but at other times his mind was sharper than a tack, entertaining me with engaging and captivating details.